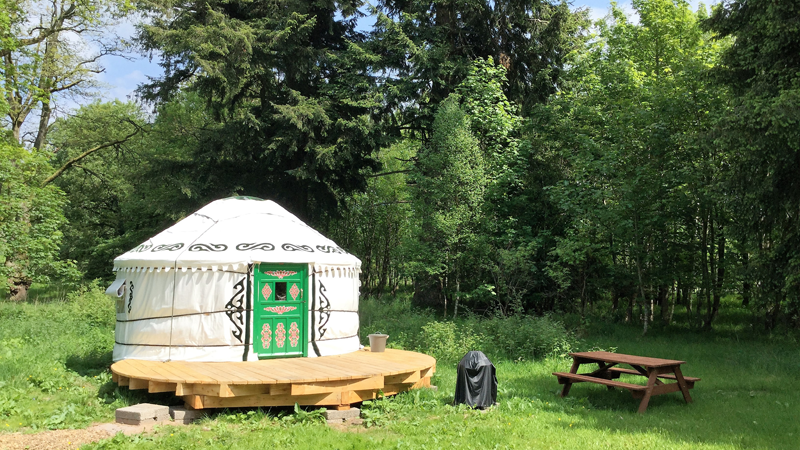 We have now installed two beautiful yurts in the open wooded area behind the castle and they are available to let by the night, mini break or week. 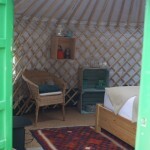 Our yurts were made in Mongolia in the traditional way, but adapted to suit the British climate. 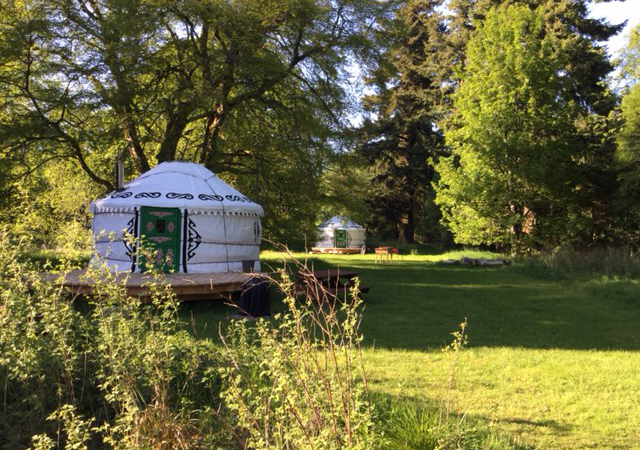 Both yurts are charming and romantic. 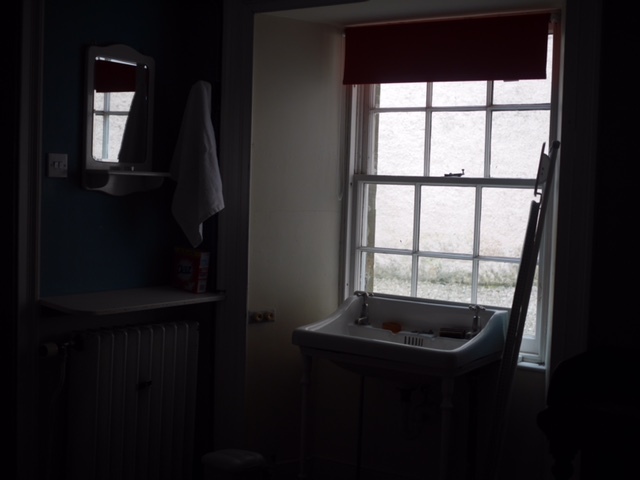 Each has a slightly different layout inside from the other. 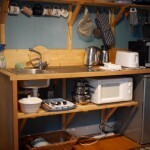 They are both fully equipped with bedlinen, towels, crockery, cutlery, tea lights etc. and an initial basket of logs. 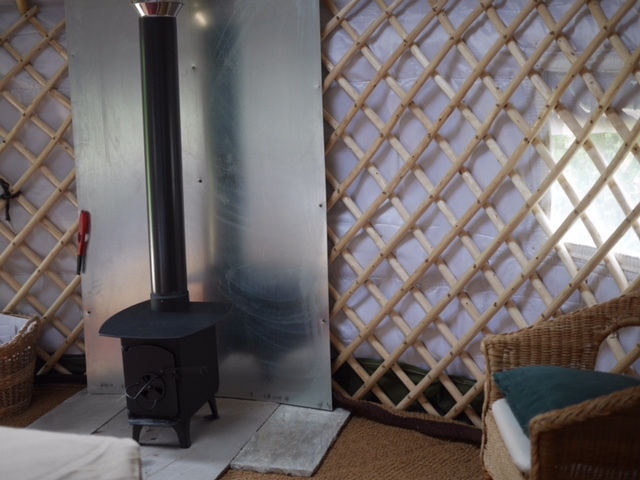 The North Yurt now has a charming box/boat type Kingsize bed which can be divided into two uniquely designed twin bed/chaise longues either side of the wood-burning stove. 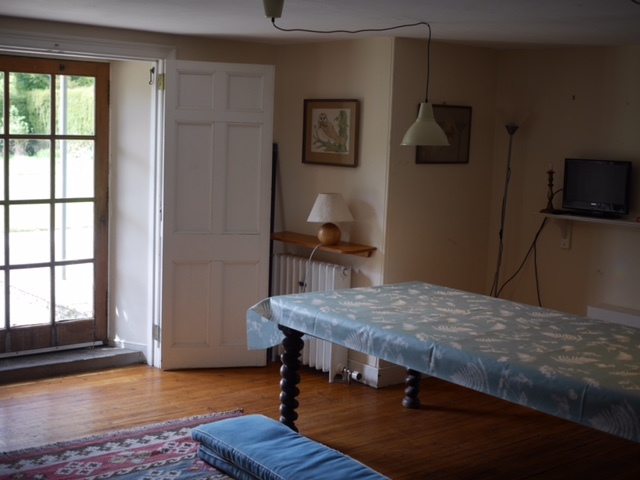 In Kingsize mode it is a romantic retreat for a couple. 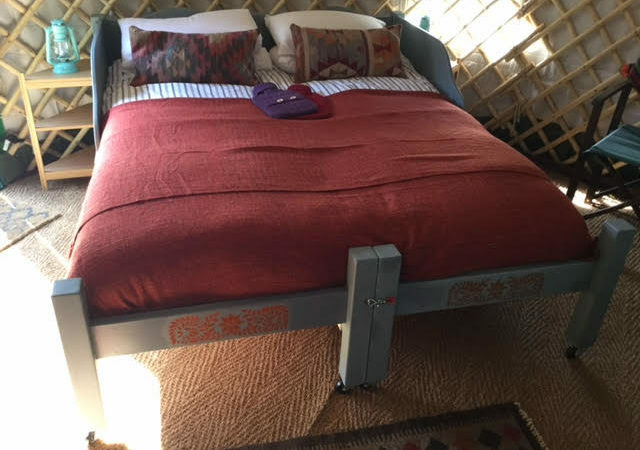 In twin mode it makes a cosy sitting room by day and bedroom at night. 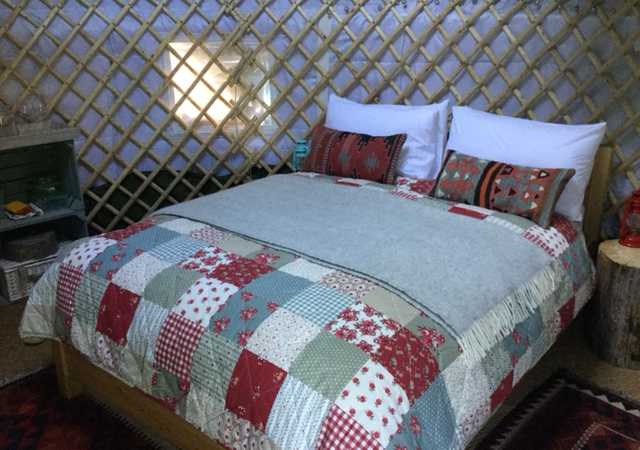 We can also supply a camping mattress for an extra person with their own bedding which works with either layout in both yurts. 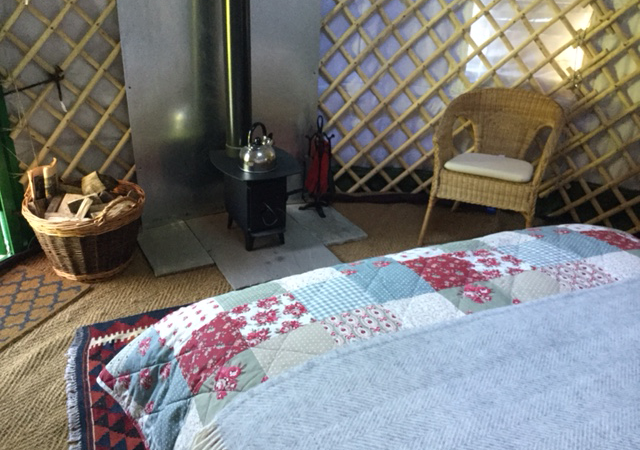 The South Yurt is a romantic place for a couple to stay, with a double bed & room to sit by the wood burning stove at the foot of the bed. 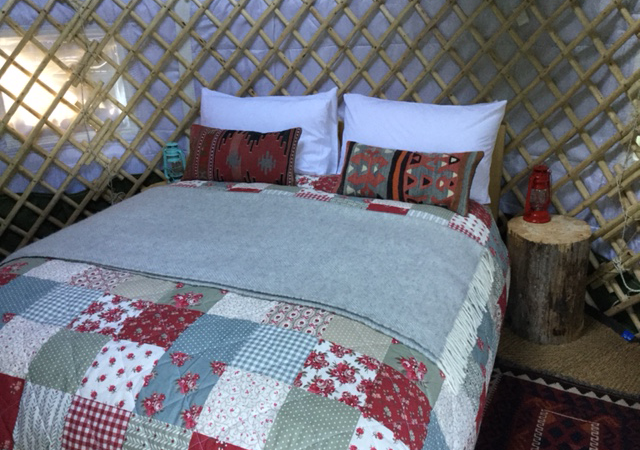 Both yurts have their own deck, barbecue and picnic table and some boxes to store clothes under the bed. 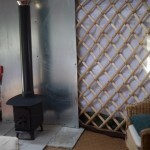 PLEASE NOTE, NO DOGS ARE ALLOWED IN THE YURTS. IF YOU BRING A DOG IT MUST SLEEP IN THE CAR. THIS IS TO PROTECT ANY SUBSEQUENT GUESTS WITH ALLERGIES. 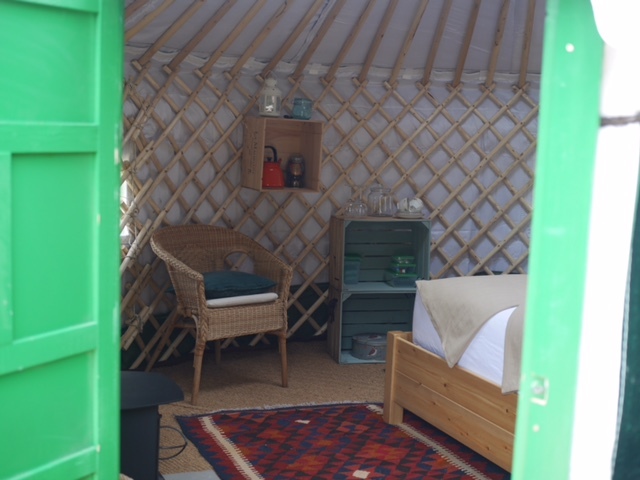 The Yurts also share a bonfire area with larger barbecue and for bigger parties and indoor facilities in the castle, including kitchenette, wet room shower, toilet and a common room with soft seating, dining space for days when outdoor life is less appealing. 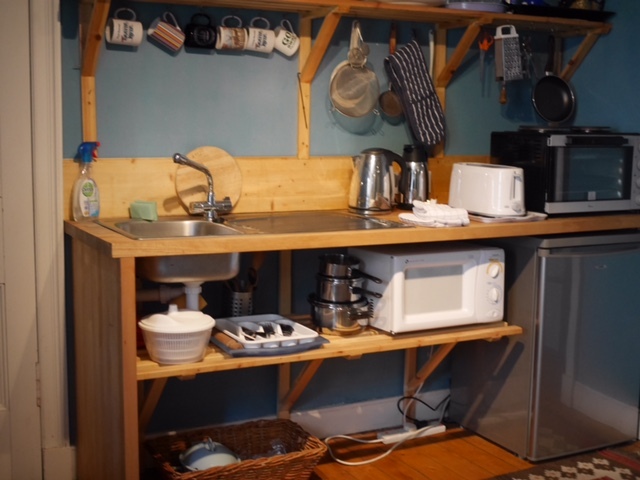 This has small cooker and microwave, basic kitchen facilities, small TV, bookcase, board games, and wifi. 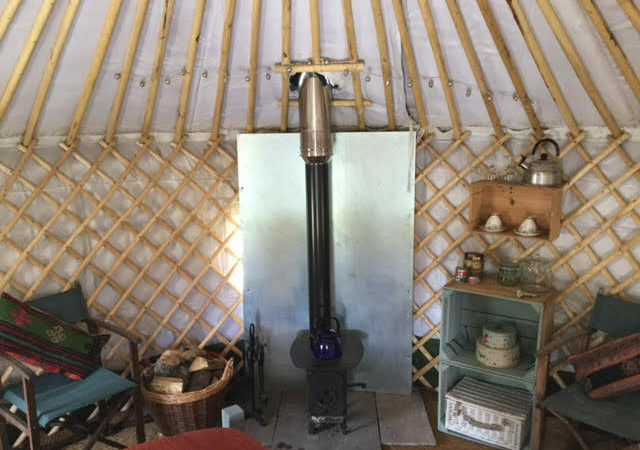 Fire-wood for the yurt stoves and firewood are available for sale at £5 a bag or bundle and locally made charcoal for £2.50 for a small bag or £7 for a large one. If you are not arriving on foot or by bike you can park your car nearby. There is a drying rack for wet outdoor clothes in the boiler room. 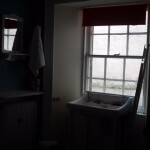 (Please ask if you need to use it). 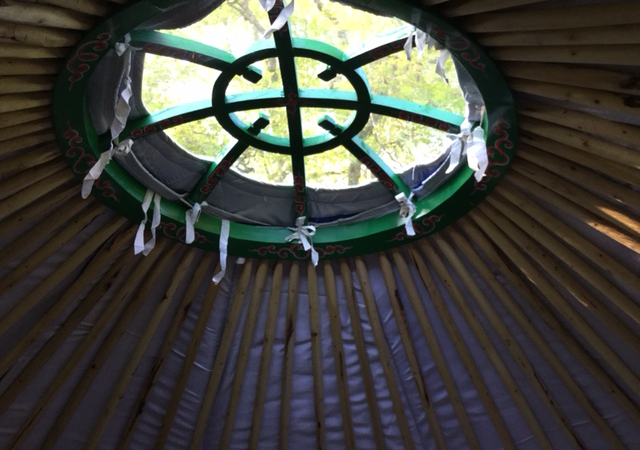 The yurts are very convenient for the Scottish Woodland Skills Centre where many interesting courses are available or Wild Sparks Forest Playscheme – a woodland holiday play scheme for 5 to 10 year olds. 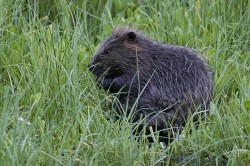 If you would like to see the Bamff beavers, please let us know in advance. 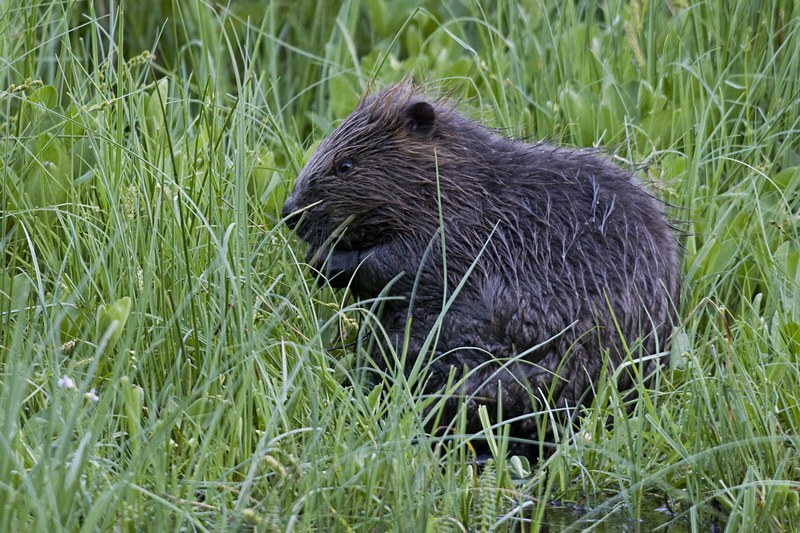 Evening beaver watching will be organised as guided tours only, to protect the beavers and will be available whenever possible in the summer months. 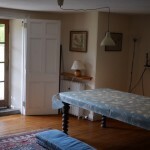 There is currently no charge for this to guests in any of our accommodation. 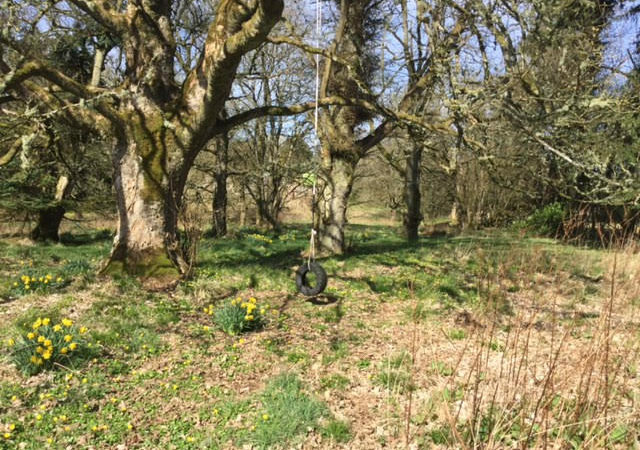 Daytime guided beaver, wetland & wildlife tours of Bamff estate can be booked online or when you arrive. A local expert, (usually Paul or Chris) will show you round the beaver wetlands and other habitats of Bamff. You will see signs of beavers red squirrels, otters, woodpeckers, possibly wildboar and much more, including a variety of birds. 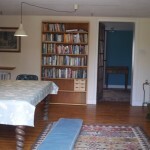 A 1 hour guided walk is £15: 2 hours £30. 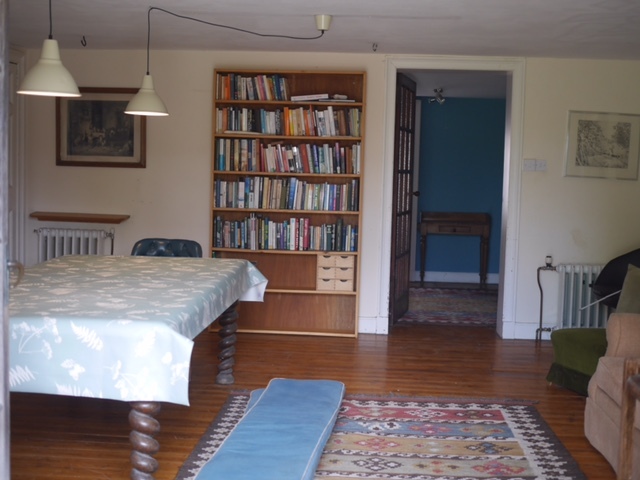 The walks are suitable for up to 6 people.